March 10, 2019 employees Kuznechikhinskaya SDK and branch Suvar BGIAMZ organized and hosted a holiday carnival. On the platform in the center of the village there was dancing, cheerful music. The platform was decorated with banners celebrating Maslenitsa. Children and adults gathered here. Opened the celebration by leading dressed in colorful costumes. “Fun” beckoned everyone to entertainment games, songs, contests. 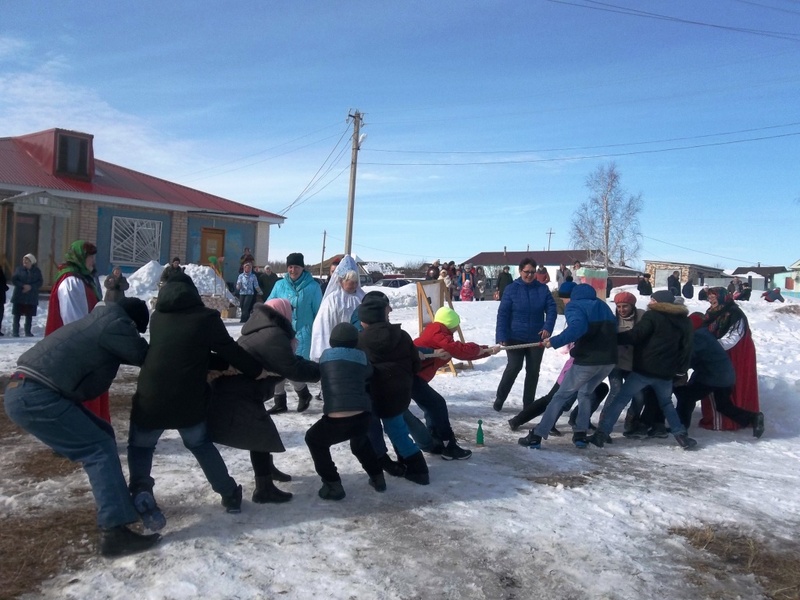 Gathered actively participated in fascinating competitions “valenok Throwing”, “Sledge races”, “Running on a broom”, “Tug of war”, “we Weave a braid”. Then Winter came and together with the” Fun “held at parting winter competitions and games such as” Handkerchief”,” Snowballs”, organized merry dances. All involved in competitions and were awarded with sweet prizes. After that, everyone tasted delicious pancakes with sour cream, jam and honey. The holiday ended with the burning of the effigy of Maslenitsa. The festival was attended by children and adults aged 4 to 75 years in the number of 115 people.